Hearts, hearts, and more hearts! These lavish diamond dangle earrings feature diamond hearts for days! 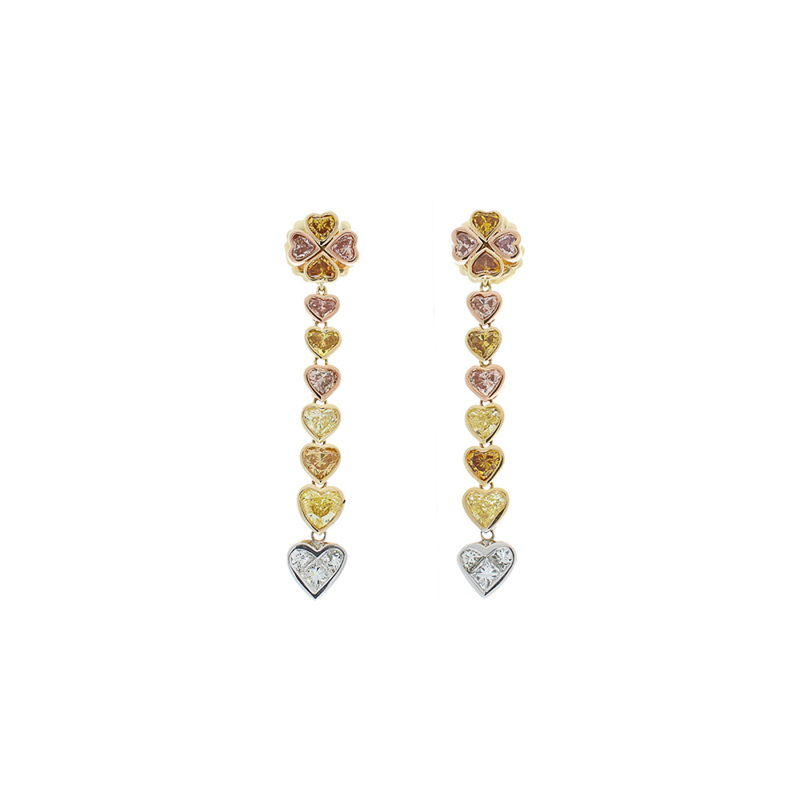 The earrings include 3.80 carat total of natural fancy colored heart shaped diamonds in an array of colors: yellow, orange, pink, and purplish-pink, which adds dynamic contrast and interest. All of the natural fancy colored hearts were sourced from Australia. The last heart on each earring is made up of dazzling white princess cut diamonds totaling 0.75 carat. These captivating earrings are fashioned of 18 Karat white, yellow, and rose gold.